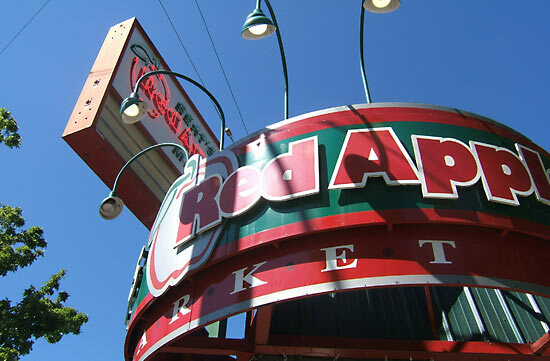 Bert's Red Apple Market has been a fixture of Madison Park for several generations, an iconic and locally-owned neighborhood grocery. We strive to be an integral part of the community, serving our customers to take care of all their grocery needs and donating our resources to better the neighborhood. We try to carry on the tradition of corner markets that have been the core of America's neighborhoods, the kind of store where we know your name and when we ask how you are doing, we really want to know. 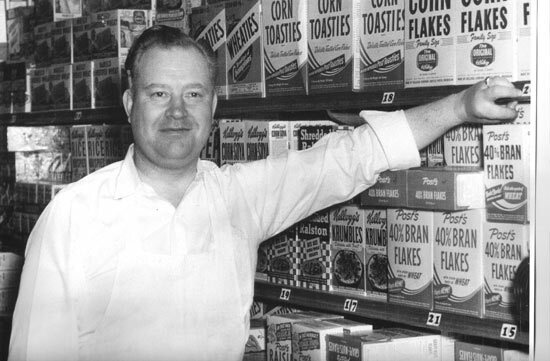 It all started when Bert Croshaw launched his first grocery in Madison Park around 1937. This was no doubt a risky venture to undertake during the Great Depression, but his brother was also in the grocery business, so it must have seemed a reasonable risk. The first location for Bert's Market was a block down the street from the current location. About 12 years after starting the grocery, business was doing well enough for Bert to build a new store building and we've been here ever since. Bert's son Roger said of his Dad that he was the kindest man that he'd ever met. Bert was a warm and caring person who showed concern for everybody that came in the store and lived in the area. He did what he could to make things better for the people of Madison Park. Bert was a huge part of what made Madison Park a great place to be. Our goal is to continue his legacy by providing friendly and welcoming customer service in our store and contributing to the community. Bert's son Roger Croshaw started in the grocery business alongside his Dad when he came back from college. He has worked at Bert's for 55 years although he's mostly retired now. His sons Troy and Tyler both continued the family tradition in the grocery business. Troy passed away in 2007 and is very missed by us all. Now Tyler manages the store and is a very hands on manager. He interacts with the customers all the time and knows a lot by their first name. Bert's Red Apple donates to the Shore Run each year. We are in charge of the kids run, giveaways at the end of the run and prizes in the park. We provide sponsorships and donations to McGilvra Elementary School throughout the school year. We are promoters of keeping the park clean. We are heavily involved with the Madison Park Community Council; one of our employees held the position of president of the council for 5 years. We get a lot of pleasure serving our neighborhood customers and seeing the regulars through the years. Tyler will often be told “I shopped here with your grandfather.” and some customers have been shopping with us for over 45 years! We get a lot of regular customers down here shopping a couple of times a day just because it's so close and this is the kind of neighborhood where there is a lot of foot traffic. There is a real community feel, we try to make it a happy place and feel like we're all a big family.